Posted on 23/02/2019 by U.N.
One of the lesser-known steel plants is VDM Metal’s melt shop in Unna, Germany. It was built as a greenfield project in 1972. 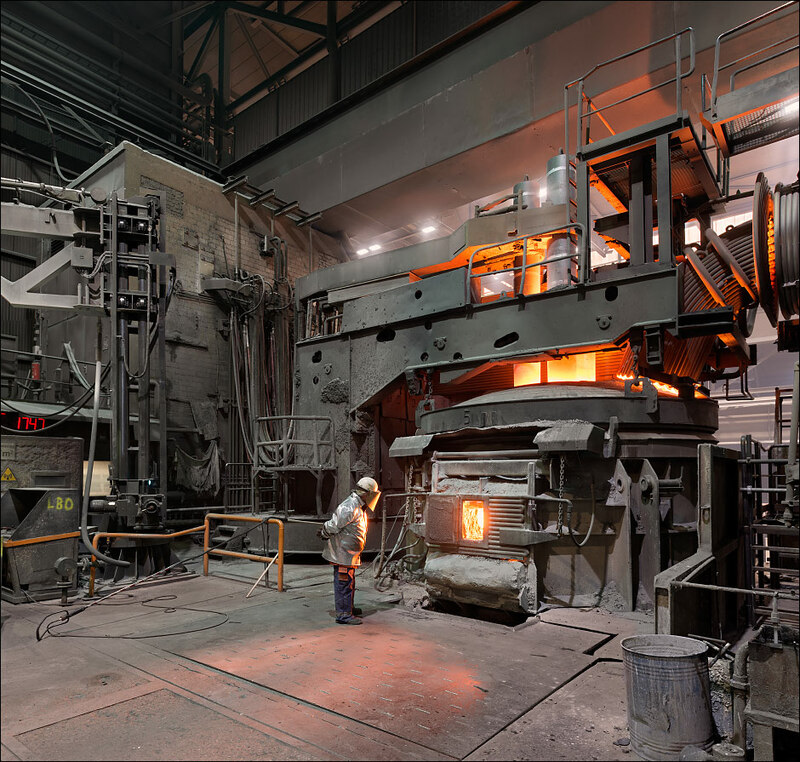 All smelting activities of Vereinigte Deutsche Metallwerke AG were concentrated there from then on. 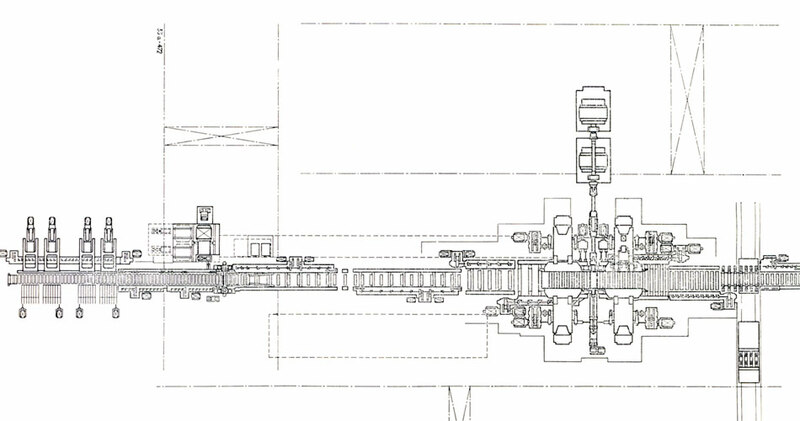 In 1989, the Krupp Stahl AG took over VDM. 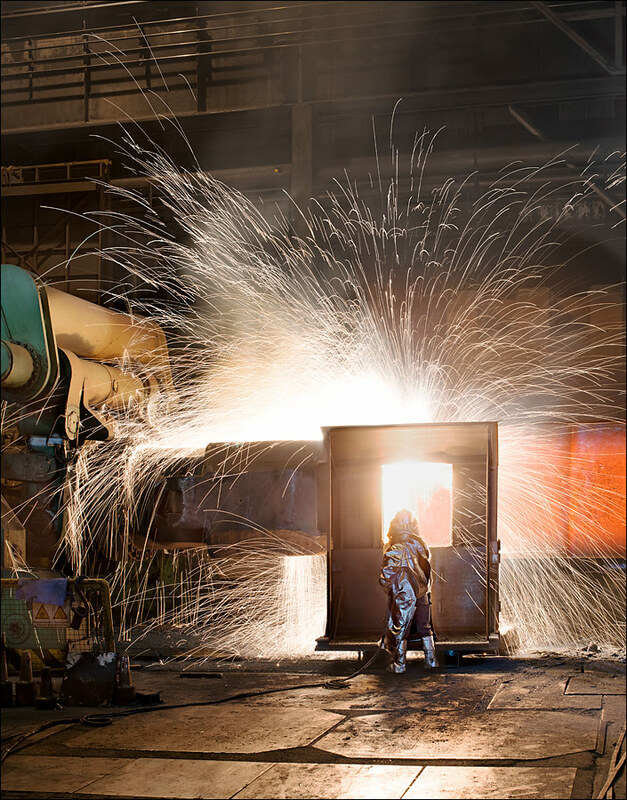 The company became part of ThyssenKrupp in 1999. Since 2015 VDM is owned by private equity firm Lindsay Goldberg from New York. 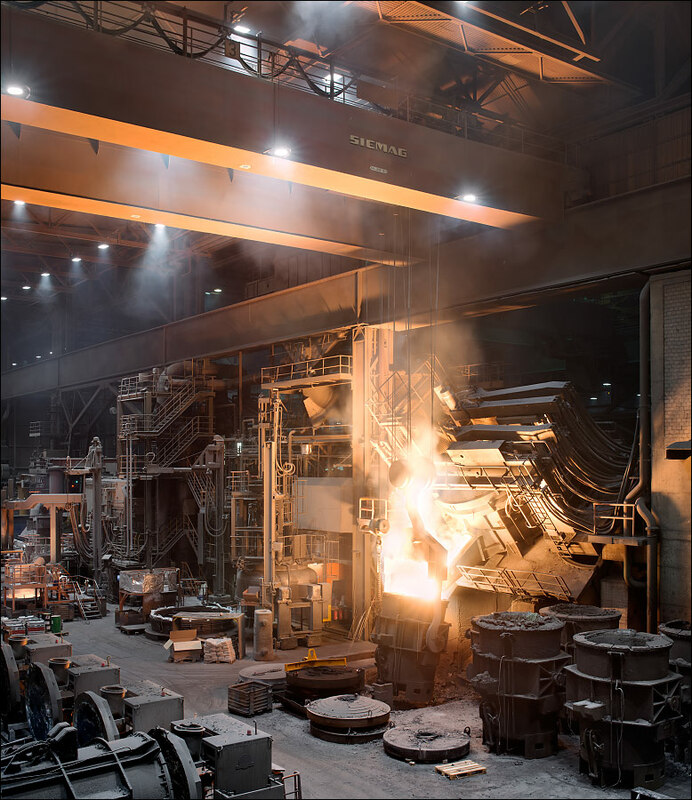 VDM Metals Unna operates a 30t, 15 MVA electric arc furnace, three 16t induction furnaces, a vacuum induction furnace and 3 electroslag remelting ovens. 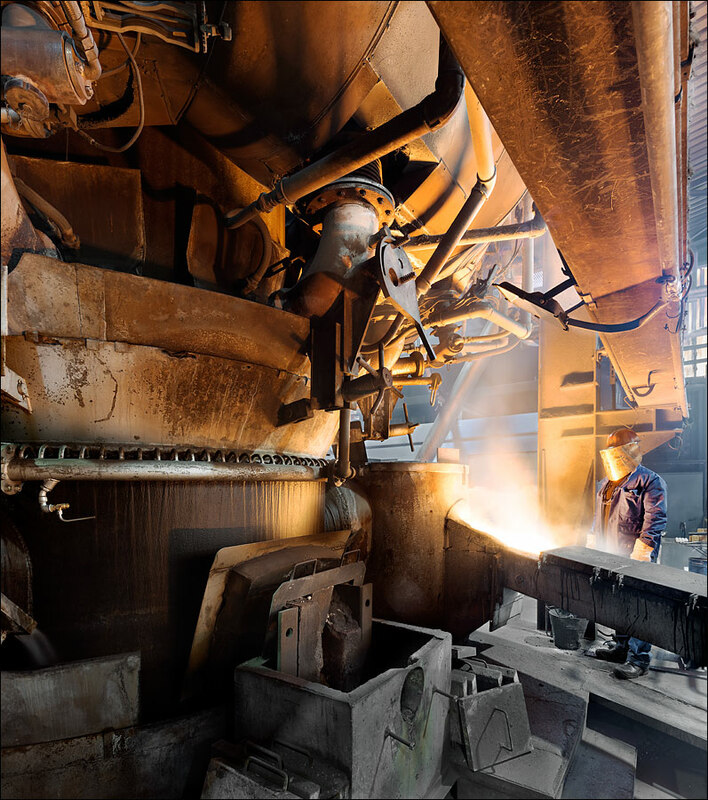 VDM-Metals specialized in Nickel alloys and special alloyed steels. Posted on 29/12/2018 by U.N.
in Germany. 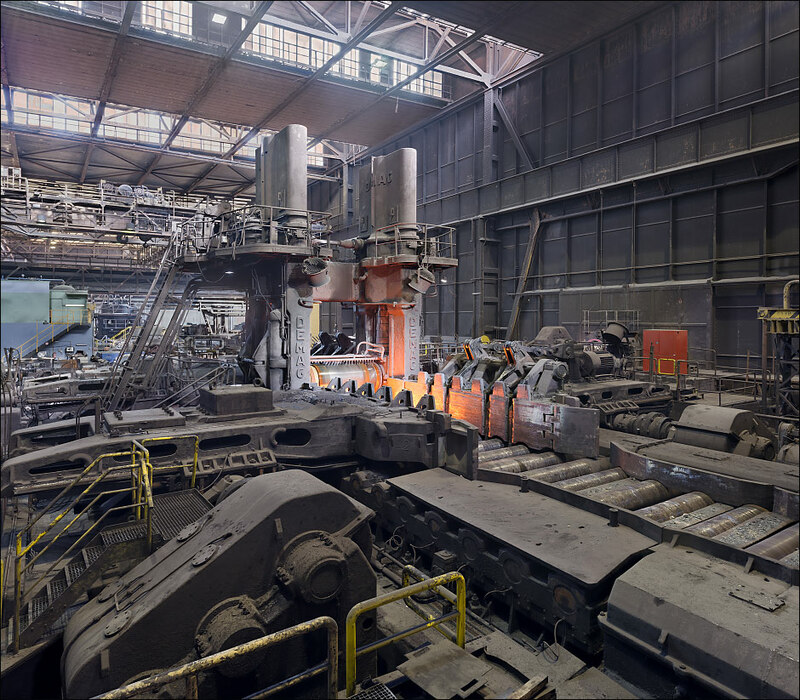 VDM-Metals’ heavy blooming-slabbing mill NO.2 in Duisburg. 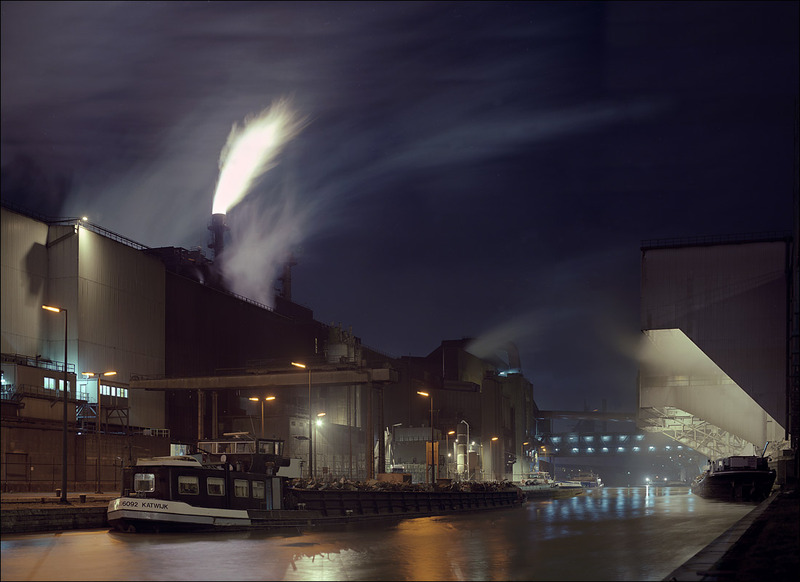 The rolling mill was built by the DEMAG company from Duisburg and was put into operation at the August-Thyssen Hütte in Duisburg on 1 April 1957. 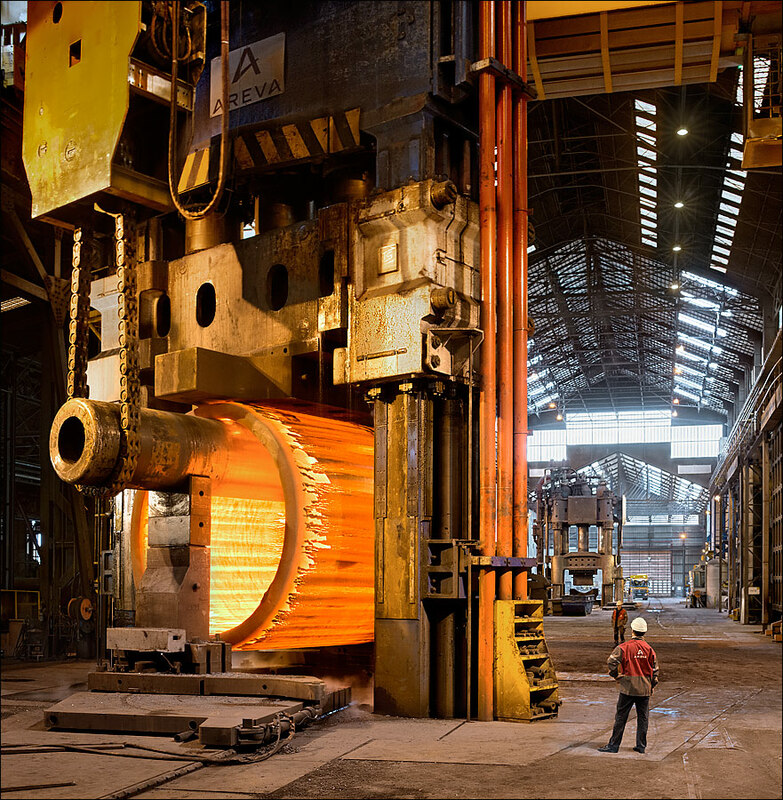 It supplied slabs to Thyssen’s new wide hot strip mill. 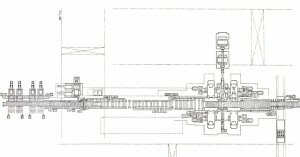 Blooms with a weight of up to 27t are supplied by 18 soaking pits and two cranes. Two DC engines of 4200 kW each run the two.high rolling stand. They are fed via a hugh Ilgner transformer consisting of two asynchronous motors with 3500 kW four control generators (two each for a rolling motor) and a flywheel with 566 tm². 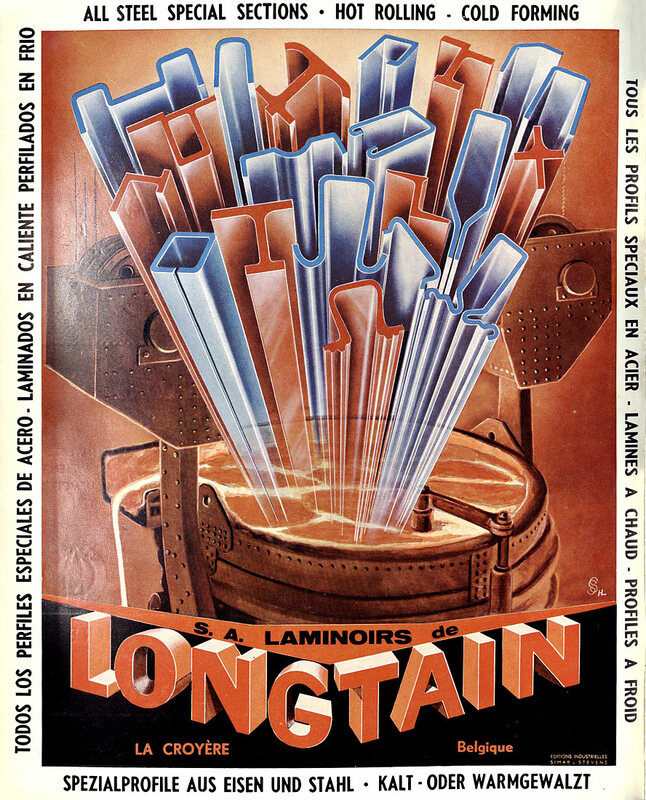 The rolling mill is owned by VDM-Metals now to produce highly alloyed slabs. 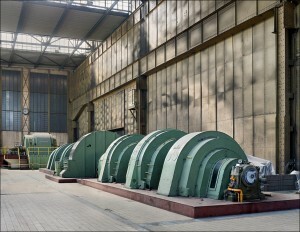 After the closure of Reiner Brach’s old Klöckner rolling mill in Bremen it is the last of it’s kind in Germany. Thank god tomorrow is an ordinary working day again. Posted on 26/12/2018 by U.N.
Posted on 21/11/2018 by U.N.
on State Street in Clairton,PA. 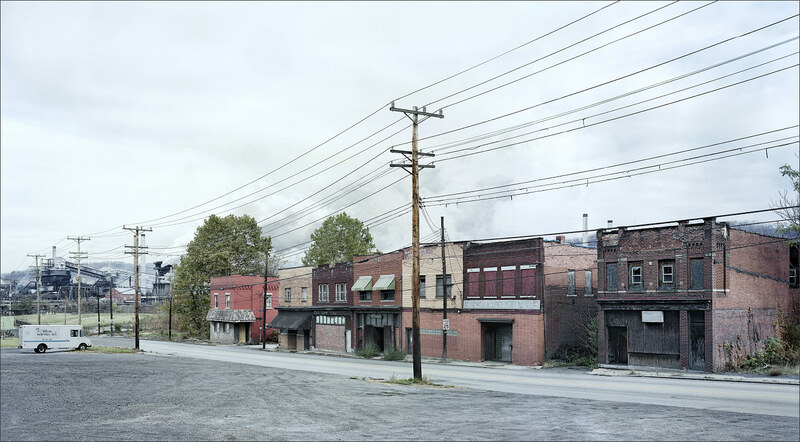 These bars where mostly attended by black steel workers from the nearby U.S. Steel plant. 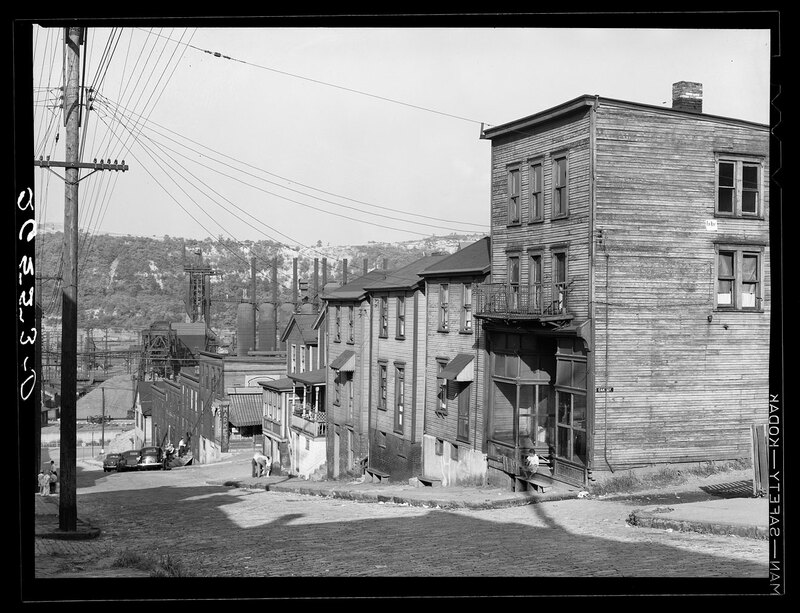 I visited Clairton with my 4×5″ in 2008. 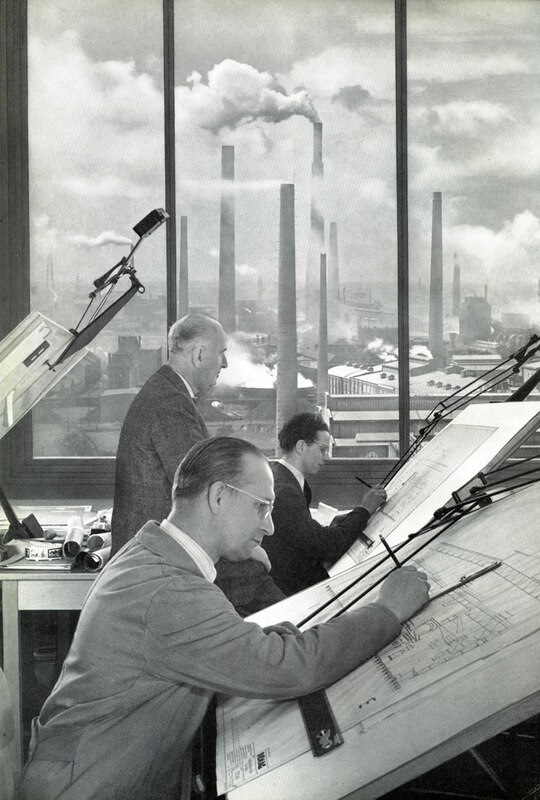 In the background you can see the 800-oven coking plant of U.S. Steel, one of the largest worldwide.